Today, we are seeing a flood of South Indian remakes in Bollywood. It won’t be wrong to say that the South Indian remakes actually revived Bollywood from a huge slump it faced in the past decade or so. In our recent articles, we explored the idea and trend of South Indian film remakes in Bollywood and also talked about some of the best South Indian remakes in Bollywood. 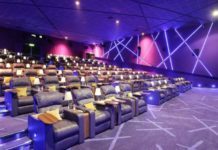 Such a popular trend actually makes me greedy for more such remakes; however, I also fear that the popular South Indian films aren’t ruined by the Bollywood filmmakers. 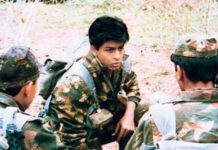 There are times when Bollywood impressed us by producing better films than the original, while at times, the filmmakers also disappointed with some box office bombs. When Ghajini, Hera Pheri, Rowdy Rathore, Tere Naam, Hulchul, and Singham impressed us, films like Tevar, Policegiri, Big Brother, Jai Ho didn’t earn many accolades and turn out to be disasters at the Box Office. Well, I am not a big fan of remakes or copies as I believe in originality and uniqueness, yet, I am in favour of South Indian film remakes only because of the fact that there are some gems produced in the South Indian film fraternity compromising of Malayalam, Tamil, Telugu, and Kannada Cinema that deserve a bigger and wider range of audience not just nationally but globally. To be honest, the list is endless and consists of both classic and modern era films. However, we would only share the ones we wish the most and try to focus on the modern era because our generation would appeal to the modern day films more than the classic ones. There are many movies in India featuring NRIs and their perspectives about the country. 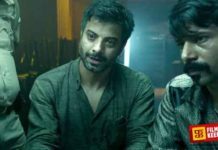 Ustad Hotel is an exception as it doesn’t fluctuate within the emotional angles focused on patriotism and respect for the country. Here’s a story about a young man of the Indian origin, who comes to India and tries to reconcile and bond with his Sufi Muslim grandfather. The Bollywood version can feature Ranbir Kapoor, Shahid Kapoor, or Ranveer Singh to play the role donned by Dulquer Salman, whereas Naseeruddin Shah or Boman Irani could play the Grandfather. 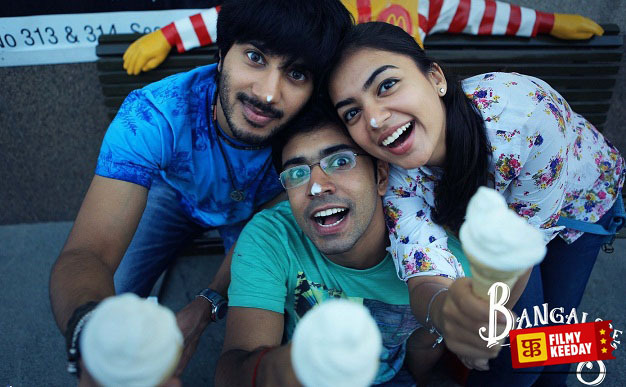 Bangalore Days is an interesting film about the friendship between cousins, who grew up together but go separate ways following career paths or marriage. However, they are united and relive their old days trying to ignite the past memories and thereby helping each other to mature into their new lives. It’s difficult to cast actors in the Bollywood version, but my picks would be Ranveer Singh for Dulquer Salmaan’s role, Alia Bhatt for Nazriya Nazim, and Rajkummar Rao for Nivin Pauly’s character. Premam is a film that portrays the life of a young man since his school days and till the time he gets married. 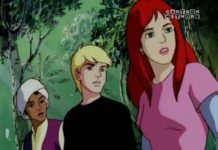 While the story of the film basically follows the main lead’s transformation from a young boy to a matured adult man, the highlight of the film remains three ladies who walk through his life. It’s an interesting romantic film but far away from the romantic films, we are used to. 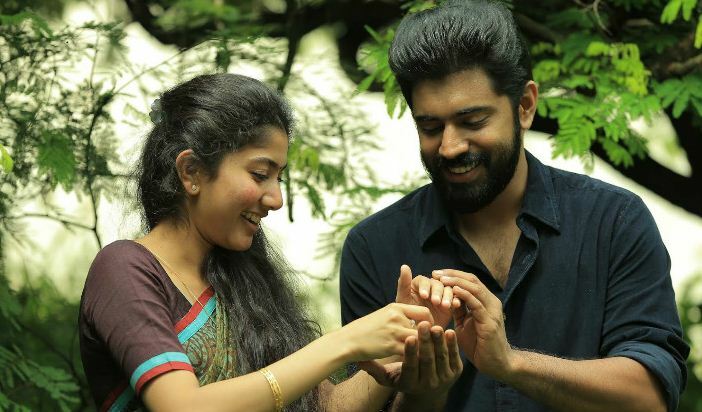 Premam was all about Nivin Pauly and the three ladies portrayed by Sai Pallavi, Madonna Sebastian, and Anupama Parameswaran. For the Bollywood version, I believe Sushant Singh Rajput can definitely justify Nivin Pauly’s versatility, whereas Alia Bhatt would bring the magical charm of Madonna Sebastian. It is difficult to cast mainstream actors for the roles of other ladies, so I would go with Disha Patani for Sai Pallavi’s role and some young talented actress for Anupama’s role. Bollywood lacks good psychological thrillers and being a hard genre, not many filmmakers are trying to experiment with such theme. Well, Bollywood filmmakers can take a cue from the Malayalam film Mumbai Police and remake it in Hindi. The film is about three policemen, who are nicknamed as Mumbai Police as together they are ruthless in solving crimes and often get into trouble together. The Bollywood remake can cast Akshay Kumar for Prithviraj’s role, whereas Randeep Hooda can play Jayasuriya’s character. Anil Kapoor can be roped in to play the Commissioner of Police portrayed by Farhan in the original film. Ennu Ninte Moideen is not your typical love story but an emotional romantic saga between two people drifted apart on religious accords. The interesting fact is that the film is based on a real-life story. While Bollywood seems to experiment with Biographical films and real life stories, this is the right time to remake Ennu Ninte Moideen in Bollywood. I would definitely suggest Randeep Hooda portrays Moideen, whereas Sonam Kapoor as the female lead. Anbe Sivam is a journey of two people from different backgrounds, who eventually become friends. As the film reaches the climax, the audience understands their connecting link and the film ends on a happy note. 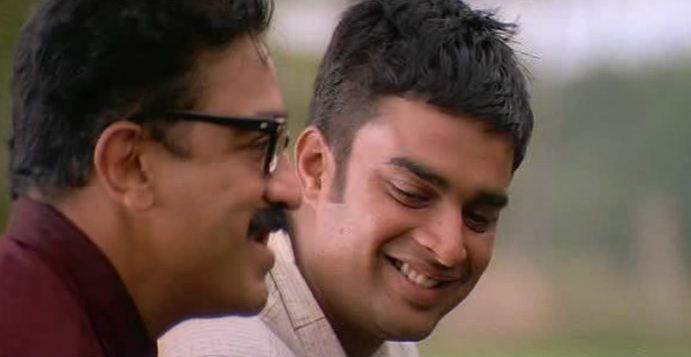 Besides the story and plot of the film, Anbe Sivam is more about how two complete strangers end up developing great bonding and friendship during their accidental journey together. I would definitely want to see the remake of this film in Bollywood with Akshay Kumar portraying the role of Kamal Hassan and Riteish Deshmukh playing R. Madhavan’s character merely because of Akki and Riteish amazing chemistry. Pudhupettai is a typical gangster film and is quite similar to Vaastav and Satya in Bollywood. However, the brilliant cinematography and amazing portrayal of an innocent boy and then a dreadful gangster by Dhanush automatically gets into our wish list of South Indian film remakes in Bollywood. The film depicts the dark underworld of Chennai or Madras and their dominance in the political arena. Bombay or Mumbai isn’t any different either and a remake of Pudhupettai can be excellent. In the Bollywood version, I would suggest Shahid Kapoor, Dhanush (himself) or Siddharth Malhotra play the lead. Unlike psychological thriller films, crime thrillers have gained some popularity with Bollywood filmmakers. However, they never had the much-needed impact that’s expected from a decent crime thriller film. 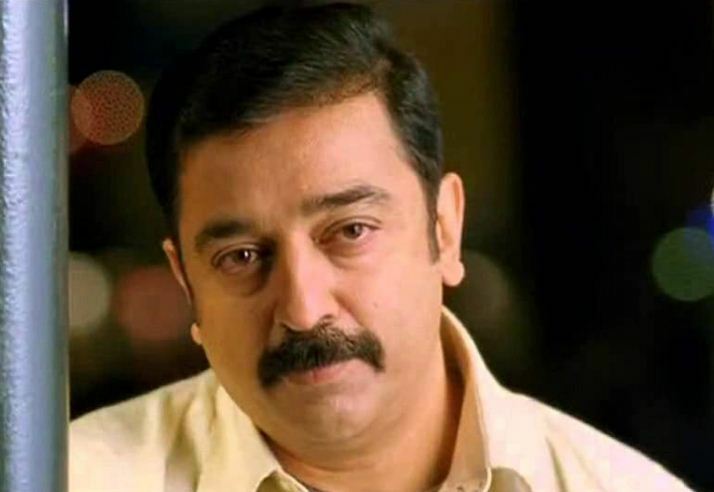 Vettaiyaadu Vilaiyaadu, a Tamil crime thriller film starring Kamal Haasan can be an ideal film to be remade in Bollywood. Either Ajay Devgn or Aamir Khan can portray the lead role, whereas Sonakshi Sinha, Shraddha Kapoor, or Sonam Kapoor can play the female lead in the Bollywood version. Ko is a Tamil political thriller film and one of the brilliantly scripted films about Indian politics. The film shares a story that focuses on the election campaigns and the tug of war between the political parties with journalism as the core element of the movie. If remade in Bollywood, Hindi film industry can easily focus on the national political scenario and bring us a movie that’s realistic yet entertaining. In the Bollywood version, I would suggest Ranbir Kapoor play Jiva’s role, whereas Randeep Hooda can play the antagonist. Mankatha is a 2011 Tamil black comedy heist film starring Ajith in the lead role, whereas Arjun Sarja plays the second fiddle in the movie. Mankatha is an interesting thriller film with lots of surprises and suspense. If ever made in Bollywood, Akshay Kumar can justify the character portrayed by Ajith, whereas Manoj Bajpai or Irrfan Khan could play the second fiddle. The female lead portrayed by Trisha can be replaced by Sonakshi Sinha. Manam is a 2014 Telugu fantasy drama film starring the whole Akkineni family including Akkineni Nageswara Rao, Nagarjuna, Naga Chaitanya in the lead roles, whereas Amala and Akkineni Akhil appear in small cameos. The film is about eternal love with rebirth as the main theme covering the course of 100 years until 2013. It’s an interesting fantasy drama film depicting two love stories featuring two couples who are reborn to be united again. Well, this concept or theme is never tried in Bollywood and that’s the reason I want Manam to be remade in Hindi. While the Akkineni family features in the original, I would suggest Anil Kapoor and Ranveer Singh play the father-son duo played by Nagarjuna and Naga Chaitanya, whereas Rishi Kapoor can portray the elderly role played by Akkineni Nageswara Rao. I would suggest Madhuri Dixit as the female lead opposite Anil Kapoor and Anushka Sharma as the female lead opposite to Ranveer Singh. Bommarillu is basically a film about the father-son relationship beautifully crafted around an innocent love story between the characters portrayed by Siddharth and Genelia D’Souza. The role of Siddharth’s father is played by Prakash Raj. It was being remade in Hindi language starring Harman Baweja and Genelia in lead roles with the title It’s my Life, but now abandoned. The film tries to draw our attention towards parenting as well as young love. While an attempt to remake the film was already shelved, I wish there’s another attempt and this time featuring Varun Dhawan and Alia Bhatt in the lead roles, whereas Prakash Raj could reprise his role as the father. Gone are the days when Bollywood used to feature college life. The last film I remember was 3 Idiots that feature college life. However, after that, I am still waiting for a good film that depicts a story about the foundation years of any youngster’s life. One such film could be the Bollywood remake of Happy Days, a Telugu musical coming of age film. The film tells us the story of four engineering students and their lives during the course of their 4 years of Engineering. Being about engineering students, I would suggest casting a whole bunch of aspiring young actors/actresses for important roles. 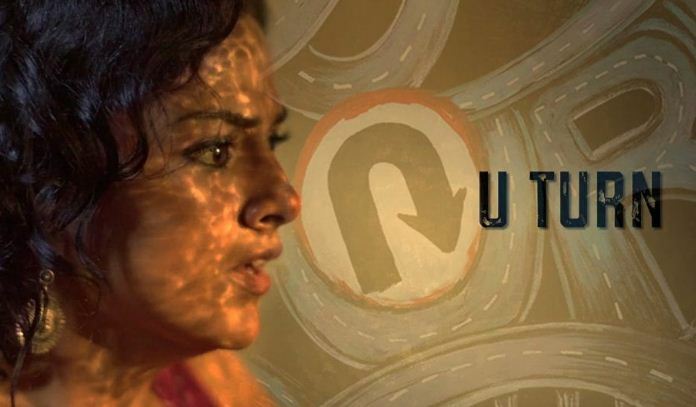 U Turn is one of those mystery thriller films that keep you confused till the end. The film tries to draw our attention to the traffic etiquettes and our habit of always be in hurry or finding a shortcut. However, we don’t realize the aftermath of such habits can be dreadful for somebody else. If made in Hindi, the story of the film would reach more audience and eventually the social message of the film can be delivered to every Indian citizen in the country. Swara Bhaskar can truly justify the role of a journalist intern, whereas Nawazuddin Siddiqui can play the cop. Neer Dosa is a Kannada film directed by Vijaya Prasad. The film tells the story of 4 characters from different backgrounds and narrates how they met, their individual stories, as well as the Neer Dosa connection in their lives. 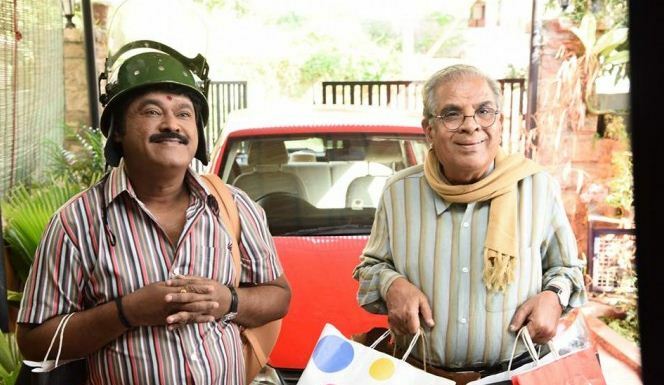 Once a bond of friendship develops, the story moves forward during their road trip to Surathkal near Mangalore. Such realistic yet interesting films are hardly made in Bollywood. However, a remake of Neer Dose can open up the gates for such genre. I would suggest versatile actors like Naseeruddin Shah, Swara Bhaskar, Manoj Bajpai, and Divya Dutta in the lead roles. Now, share your favorite south Indian Films, which you would love to watch in Hindi.